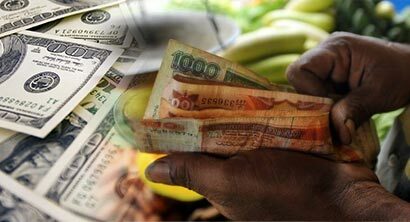 Sri Lanka’s rupee ended weaker on importer demand for dollars on Monday while the island nation’s stock market inched higher on retail buying. The rupee closed at 131.70/132.10 against the dollar from Friday’s close of 131.50/70. Three currency dealers said a state bank sold dollars, preventing the rupee weakening further. The stock market edged up on retail buying in light volumes ahead of a Tuesday meeting with Treasury Secretary P.B. Jayasundera to discuss some policy changes that could boost an ailing bourse which has fallen 18.8 percent so far this year. The meeting follows a July 20 meeting by President Mahinda Rajapaksa, who is also the country’s finance minister, to discuss issues related to trading. The Colombo Stock Exchange’s main index edged up 0.05 percent, or 2.42 points, to 4,935.51. The day’s turnover of 288.2 million rupees ($2.18 million) was well below this year’s daily average of 895.2 million rupees. The stock market data and Central Bank data are generally incomprehensible to ordinary citizens of the country. What writers should instead do, rather than show how conversant they are in technical jargon, is to examine things like how much a rupee can buy in terms of goods and services today compared to two years ago, five years ago, ten years ago etc. They must also look at how salaries have fluctuated in the comparative periods above. In addition, they must look at how many people in each family have jobs. The writers must examine how many graduates leave our universities, how many are working, what sort of jobs they do in relation to their studies etc. People need to know about how many patients who enter public hospitals die of preventable causes. They must understand what pharmaceuticals they have been given, and whether they were appropriate, and of suitable standard or not. They need to know how long average Sri Lankans now live, compared to earlier. However, independent non-government bodies must work out such figures totally independently. Then, the people will be able to understand their country and their status within it, better than if they are told all sorts of statistical jargon and figures that do not mean a thing to them.